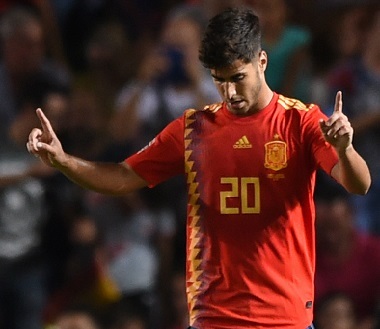 The coach of the Spanish Football Team, Luis Enrique, is counting on Marco Asensio again, calling him up for the first two qualifying matches for the 2020 Eurocup. 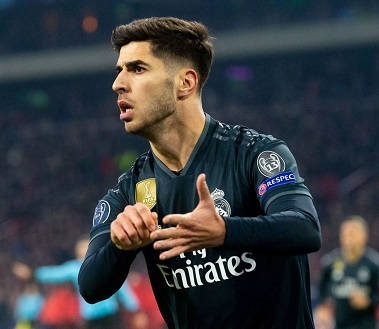 Real Madrid left victorious from the duel with Ajax thenks to the second goal, which Marco Asensio scored in the 87th minute. In only 15 minutes in the match, the player was key in a match that brings the team closer to the quarter finals. The VMR Prize in the XXIX edition of the Gredos Prizes of Guisando (Ávila) was awarded to Real Madrid player, Marco Asensio, as announced during the ruling of this distinction on 21 July 2017 in the Restaurant Casa de Postas de Ávila. This morning the prize was presented to the player at the Club. 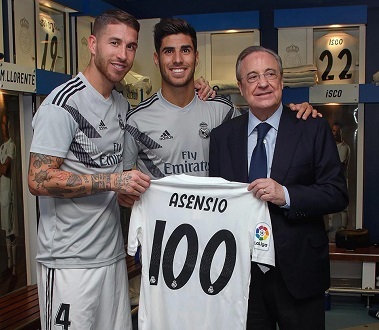 Marco Asensio played his match number 100 with Real Madrid on Saturday the 29 of September in the Santiago Bernabeu Stadium against Atletico de Madrid. A different match and, without a doubt, a night with special significance for a key player this season. Marco Asensio led a magnificent match of la Roja against Croatia, scoring a brace and giving three assists. Luis Enrique’s new national team is bringing hope and leading its group in the League of Nations. 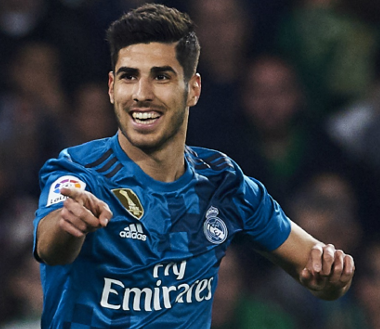 With his second goal scored against Betis and the third of the match, Marco Asensio enters the history of the Club as the author of Real Madrid’s goal number 6,000 in the League, the first team to reach this record. 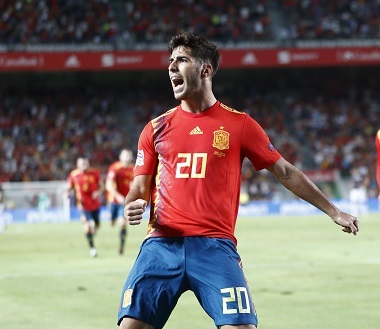 Marco Asensio continues present in the rankings of young players and special mention by competition, highlighted for his promise and good play, both with Real Madrid and with the Spanish national teams, in the under-21 and adult categories. 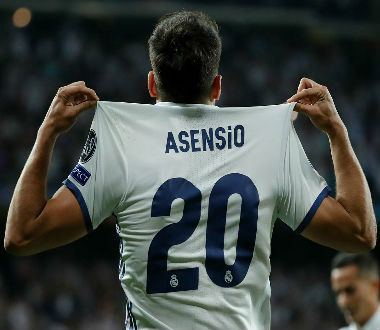 It has already been 50 matches with the white t-shirt for Real Madrid’s 20, one of the players with the brightest future who has just signed a contract renewal for another six years. In little over a year, the madridista has truly taken advantage of his minutes of play and secured himself a place in the team. 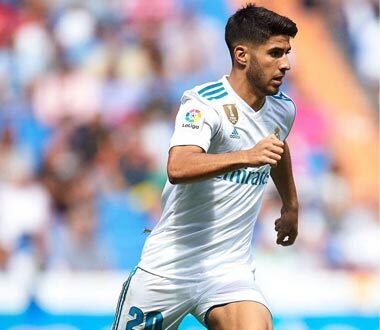 If Marco Asensio made his role on the pitch clear last season, making the most of his time and with a recital of debuts to remember, this season he’s picked up the mantle again. With a well-deserved holiday behind him, Marco Asensio was soon back to work. This time heading to Los Angeles, ready to meet up with his Real Madrid team-mates, perform his first training sessions and play in the friendly matches of the International Champions Cup. 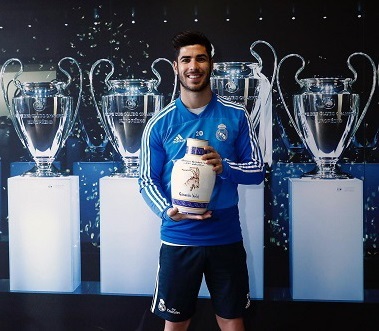 Marco Asensio met up with the Under-21 team to play in the European Championship in Poland after winning two titles with Real Madrid, La Liga and the Champions League, in a spectacular season and in very good form. Having just arrived, he was dazzling against Macedonia with a historic hat-trick, was included in the best starting XI at the end of the tournament, and came home with the runners-up medal, the Silver Boot and another brilliant debut for the collection. 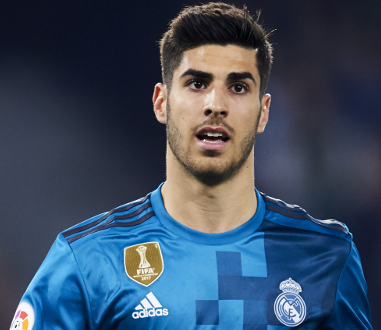 It’s only a year since Marco Asensio arrived at Santiago Bernabéu after a season on loan to RCD Espanyol, and his style of play has caused a sensation in a short time, becoming the new star at Real Madrid. By:Designed and developed by Auupa Consultoría y Servicios S.L.U.